The group forced crocodiles into a high school office. 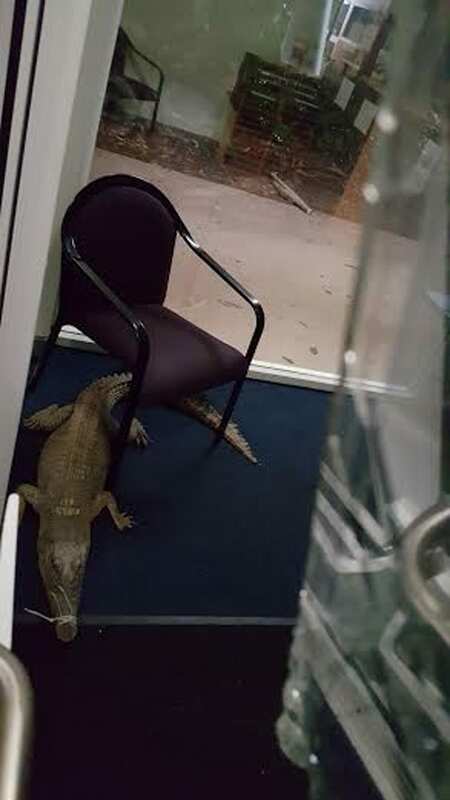 One of the saltwater crocs released inside the Humpty Doo highschool. 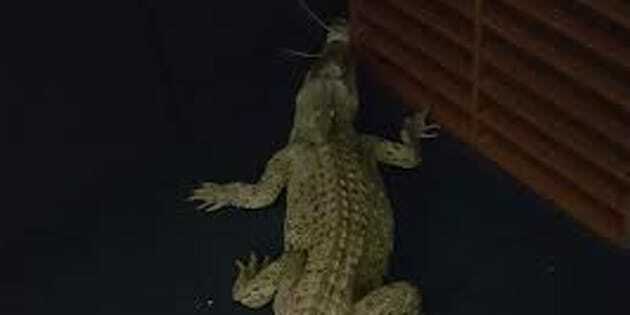 Northern Territory police are on the hunt for four men who broke into a school and dumped live saltwater crocodiles at the scene of the crime. The four broke into a high school at Humpty Doo on Sunday before releasing the three crocodiles into the school's main office. The largest of the crocs was two metres, the ABC reports. Senior Constable David Gregory said Police were alerted to the break in shortly after 5am on Sunday morning. 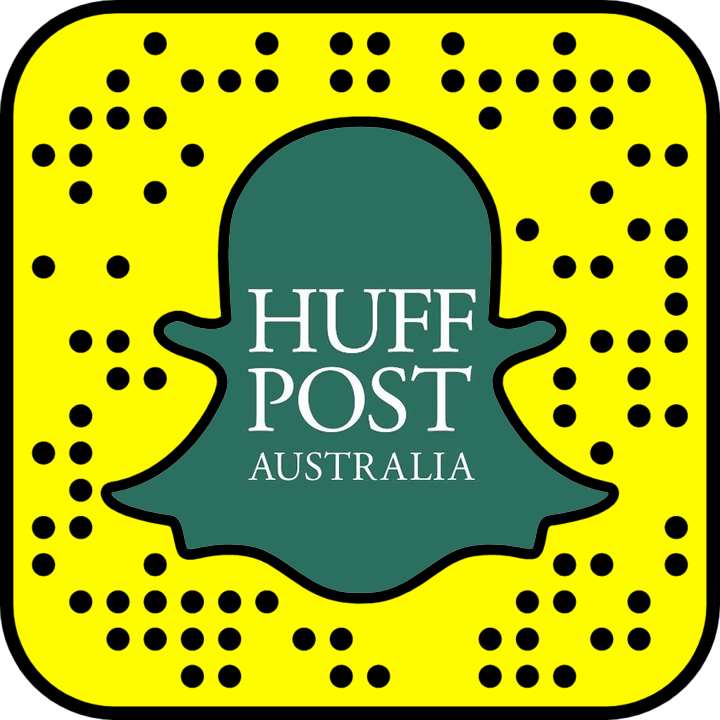 "CCTV footage shows three saltwater crocodiles forced into the main office," he said. "Police are appealing to the public for information as to the identity of the offenders." Parks and Wildlife Rangers safely removed the reptiles. Anyone with information in relation to the should contact NT police on 131 444, or Crime Stoppers on 1800 333 000.